“Is Twitter really worth it?” This is easily in the top 3 questions that I am asked most often by colleagues and friends in academia who are interested in establishing an online presence. Undoubtedly, it’s an important to question to answer in this modern age where it seems that everyone is universally pressed for time. While it’s a query I am always happy to field, I believe it is best answered from multiple viewpoints. Over recent weeks, I have been collaborating with fellow PhD students Chris Brandner (@ChrisBrandner) and Nathan Lee (@NathanAndyLee); together, we have documented our individual experiences using Twitter as a professional communication medium, ultimately to provide our insights on why we believe Twitter is worth the time and effort. 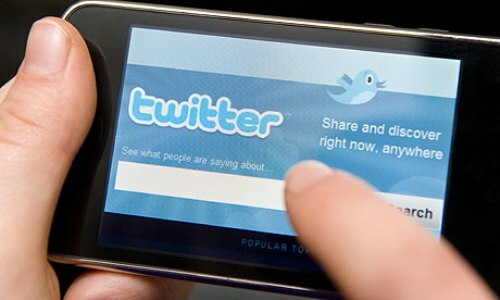 In this post, part one of a four-part series, we begin by explaining how and why we use Twitter. In the rest of the series, we will discuss the barriers that stopped or slowed our own adoption of the social network, the opportunities that have stemmed from establishing a Twitter presence, and our suggestions for making the most of your time on Twitter. What started as a sapling of an idea (hat tip to Nathan) grew rapidly as we each reflected on our Twitter experiences: the benefits, the drawbacks, the missteps, the wins. I’d like to thank the guys for dedicating their time and energy to this little project, and we all hope you find it informative and interesting! P.S., if Twitter is completely foreign to you, you might find the following website helpful to translate some of the Twitter-specific terminology used in this blog post series: Mom, This Is How Twitter Works. How long have you been using Twitter? Why did you start? Chris: I was encouraged to start using Twitter when I first began my PhD in 2012, but only began using it in the past 18 months – our University was encouraging students and academic staff to start creating their own digital identity. I had heard from others about how were using it, and thought it would be a great way to network with other professionals within the fields of exercise science and strength and conditioning. Nathan: I’ve had a Twitter account since 2012, but I have only proactively used Twitter for a little over a year. I initially joined Twitter because I knew that many of the top basketball coaches and basketball blog posters would share thoughts, quotes, and resources on Twitter, and thought it would be a useful platform to aid in the development of my basketball coaching skills. It became evident that this approach could be applied to strength and conditioning coaching and to the academic field, both of which would aid in my PhD studies and career aspirations. I also came to realise that it would be a great way to engage and connect with some of the best people in any given field. Jacquie: I started using Twitter in 2007, to keep in touch with friends overseas and to stay up to date with my favourite independent musicians, who were among the quickest to jump on board with the service in its early days. A few years ago, I decided to set up a professional account, to separate out the different conversations I was having to two different “places”: one place for general tweeting about things that interest me outside of work (music, photography, coffee), and another place for tweeting about work (sports science, teaching, elite sport, visual information design). How do you currently use the service? How much time does it take out of your day? Chris: To be honest, I am a bit of a social media addict and am constantly flicking through Twitter on my phone throughout the day. I will use Twitter for building my professional profile and to create network opportunities by connecting to other users that have similar interests to mine. I use other social media platforms (e.g., Facebook) for my own personal use to stay in contact with family and friends. Nathan: Currently, my routine is to check Twitter first thing in the morning and last thing before I head to bed (probably not the best for my health and sanity!). While it only takes 10-15 minutes to go through all the new tweets from the people I follow, I usually end up with 10 new internet browser tabs opened with resourceful information! As this may take some time to get through, I typically consume the content throughout the day. However, I honestly believe that this is time well spent. I am addicted to learning and I want to know everything about everything! Ultimately, the time Twitter consumes is completely up to the user. I have no doubt that users could see value from spending as little as 5 minutes per day on Twitter. As a whole, I tend to use Twitter to keep up to date with the latest research and practices within the sporting industry, and to connect with researchers and strength and conditioning coaches. It’s a great way to develop professional relationships. Twitter also creates a nice platform to share content that is floating on the internet with people who may be like-minded. For me, the next step is to take a leaf out of Jacquie and Chris’ books and live-tweet at the next conference I attend, to give back to my followers and the industry. Jacquie: In early 2012, I noticed a shift in how I was using Twitter, and how others were using it too. In addition to tweets from friends and musicians, my Twitter timeline included tweets from news outlets, athletes, sporting organisations, strength and conditioning professionals, and a handful of academics. Increasingly, my varied interests were intertwining through my Twitter account; I was uncomfortable with this not because I was concerned about compromising myself from a professional perspective, but because my Twitter feed didn’t seem to represent a clear identity. I was also interested in trying to use Twitter as a tool for teaching. In the end, I decided to split the two accounts and maintain one for personal use and one for professional use, which is the set up that I currently use. I also coordinate and maintain the online marketing and communications for a gym, which includes running the gym’s Twitter account. The time that I invest into Twitter will vary depending on what’s going on in my day or week. I’ll usually browse my Twitter timeline at least once per day for 5-10 min, just to keep on top of what the day’s conversations are – it’s my version of reading the news in the morning (and indeed, often my primary source of news and news commentary). If I find an article, blog post, or topic that interests me, I might spend additional time on Twitter to share my thoughts; after using the platform for some time now, the process of constructing a tweet now comes pretty easily. My professional account is most active around conferences, when I try to live-tweet from some sessions, or just involve myself in topical discussions with other conference delegates. During these times, I will use Twitter in regular bursts of 3-5 min, or I will be constantly refreshing my feed if I am live-tweeting during a session. What have been the biggest benefits of using Twitter in complement with your work? Chris: Even after all of this time on Twitter, I still get a huge kick out of sport scientists and strength and conditioning coaches following my account, tweeting me, or “favouriting” something that I have tweeted! Being on Twitter allows me to connect with other researchers and professionals that have similar interests to mine, which allows me to build my social network and exposure. Without ever having met some of these people before, I have had the capacity to make contact and set up meetings interstate – even on the other side of the world! And because you only follow people that you are interested in (and vice versa), it has allowed me to share the results of my research, conference presentations, and industry work to a much wider audience. Nathan: Exposure! I have learnt so much and have been exposed to many different topic areas from a broad range of industry fields. This stimulates thoughts and ideas of my own, and often I am able to apply these thoughts and ideas to my own work immediately. If not, I store these in my memory bank and look to draw upon them in the near future. Hopefully, my followers will gain something from my tweets and retweets, too. Exposure on a personal level is also a key benefit of Twitter. The ability to connect and engage with interstate and international industry professionals is made easier and more convenient for all. As an added bonus, with the profile picture on Twitter, readers can easily put a face behind the tweeter. I am sure this is beneficial when meeting an industry professional for the first time. This may not be so easily achieved through communications via e-mail. Jacquie: 1) Starting conversations with sports science researchers and practitioners around the world. As a PhD student, there is a certain etiquette that you’re expected to follow if you want to demonstrate respect for the traditional hierarchy of academia. So cold calling or cold emailing isn’t often a very effective plan of action when you have little or no existing relationship with a prominent scholar! I’ve found that Twitter provides a unique platform that breaks down these walls and allows people from diverse backgrounds to start conversations on topics of common interest. In this environment, conversations are no longer between a student and a professor, or between a young graduate and an established professional – it’s just person-to-person, one Twitter user to another. These conversations can then build upon one another over time to develop real relationships that may grow into something more meaningful. 2) Finding and nurturing support networks. When the going gets tough, it’s always some comfort to know that you’re not alone. In particular, I draw support from the community of postgraduate students by reading and tweeting on the #phdchat and #acwri hashtags about PhD and academic writing successes, trials, and tribulations. 3) Developing a professional identity and distinguishing myself from “the pack”. It’s my own soapbox – a place where I can have my own opinions, share my interests, and highlight the things that I think are important in my field. Chris Brandner is a PhD student from the Centre of Physical Activity and Nutrition Research (C-PAN) at Deakin University. His Doctorate focuses on the neuromuscular, cardiovascular, and perceptual responses to blood flow restriction strength training. Chris has a long history of conducting strength and conditioning programs within elite sporting environments, working extensively in Australian Rules Football. Chris currently trains state and national level Track and Field development athletes and is an accredited Level 2 Strength & Conditioning coach through the Australian Strength and Conditioning Association, and Level 1 Sports Power/Olympic Lifts coach. You can follow Chris on twitter (@ChrisBrandner) or contact him via email (c.brandner@deakin.edu.au). Nathan Lee is a PhD scholar from the Sports Performance Optimisation Research Team at the University of Tasmanian, and at the Tasmanian Institute of Sport (TIS). His research surrounds utilising countermovement jump performances as an indicator of fatigue and physical readiness predominantly from a strength and conditioning perspective. As part of Nathan’s PhD studies, he is involved in the strength and conditioning servicing for athletes at the TIS. Nathan has previously provided sport science services, in particularly performance analysis data for elite and professional netball teams, and is also a keen basketball coach. You can follow and contact Nathan on Twitter (@NathanAndyLee), or via email (nathan.andy.lee@gmail.com). Jacquie Tran is a final year PhD student whose program of research has investigated the accuracy of training load measurement in rowing, and the utility of athlete wellness monitoring for distinguishing between successful and unsuccessful rowers. Beyond her PhD, Jacquie’s professional interests include elite athlete performance, sports technology, and science communication. Send her a tweet (@jacquietran) or visit her website for more information (www.jacquietran.com). A great little read, good work guys. I have also recently signed up to twitter in the last 6 months, finding it extrememly useful. I decided to engage for similar reasons, i.e. breaking down contact barriers and as a platform for professional networking. Some may argue that this is not a ‘pure’ way for academics to interact professionally, however it seems silly not to harness the fully power of the internet and social media to drive research opportunities. @Josh_T_Arnold …… for anyone who wants to network or collaborate.